Award winning tattoo artist michael norris. Please take your time and peruse the site. 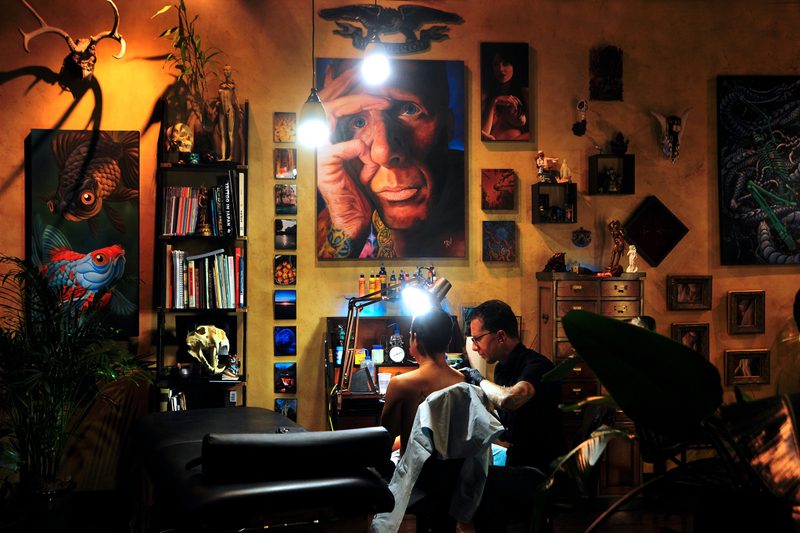 You will find a wealth of information and inspiration for your tattoo collection here. I look forward to meeting you in person. Please schedule a consultation, and lets begin to work together toward making your tattoo goals come to fruition! If you’re interested in getting tattooed please join the mailing list for updates regarding availability. If you live in the New England area and are interested in working with me, this is a link to a special access area of my website for contact and scheduling your next tattoo. All of the information on the site is still of relevance aside from booking info. Thank you Austin for an amazing 13 years! I look forward to visiting when I am able and working with you then! Searching for an artist can be a daunting task. Hubtattoo is dedicated to helping you get the body art you want, from best tattoo artist for the job. No other tattooer will offer you such a comprehensive over-view of the process of tattoo collection. Please visit the new learning center to enhance your tattoo knowledge! Please note that the email form requires that you tick a box which states “I have read the FAQ”, and another which states “I have read the consultations page”. You must tick these boxes in order to submit your email. But if you HAVEN’T actually read these pages, and you email me with questions already answered on these pages, you will not get a reply. Please READ the website before contacting me. This website is tailored to offer the most tattoo information possible. Please read the copy. I am very busy seeing to the needs of my clients. Most questions new clients might have, are already answered here. Just a little time spent searching will yield a wealth of useful information. You want your tattoo to be the best it can be. Take the time to learn how to make the most of the experience!